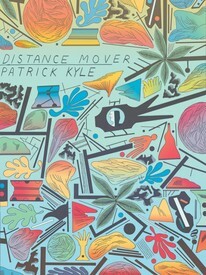 Editor of comics anthology, Wowee Zonk and creator of Black Mass, north-of-the-border cartoonist, Patrick Kyle brings a heightened level of formalism to Distance Mover. Printed entirely in blue and gold and dispensing entirely with panels and ruled borders, Kyle explores the interior space of the comic book page, tweaking and twisting temporal expectations and experiences with a morphing narrative that allows borders and gutters to organically emerge – or disappear, as forms and characters merge and overlap. 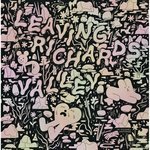 No less a formalist than Jordan Crane waxes, "Pure comics heartbreakingly swift in its speed and span, Distance Mover is heady and hilarious, high and low, a tightly wound breakneck paced science fictions epic, full of calmanity and beauty. Quite literally this book will bend and blend your mind with tie and space. Read it, and move great distances."